Spend time in our brand-new driving range. Ideal for the whole family – anytime of day. 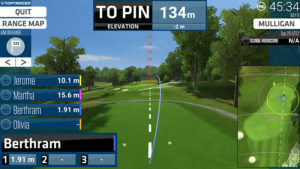 Toptracer Range delivers the same ball-tracking technology that traces the shots of the game’s best players on TV. Now you can enjoy using the same technology to practice and perfect your shot. Not so serious? That’s fine too. It’s perfect for beginners, and is especially good if you’re looking for something new to try with your friends and family. 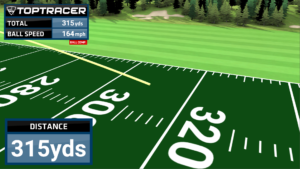 Toptracer shows the flight path of golf balls with valuable shot data. The technology redefines the driving range experience – from a functional training day to an exciting experience for all ages and abilities. 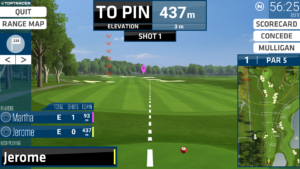 The revolutionary technology creates an “in-game” experience, enabling you to hit the shots but see them on the screen – this includes on virtual golf courses. 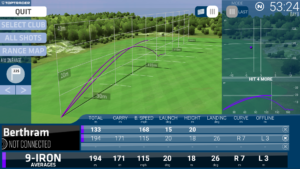 Players can use the Toptracer Range Community App to link their personal profiles to access their entire history of shot data, including specific club performance details, as well as how they rank against other players on leader boards. Pretty much anyone. If you can swing a golf club, then come and give it a go. You’ll be surprised how competitive you’ll get once you get started. If you haven’t played golf before, this makes a great introduction to the game. It’s certainly less daunting than heading out onto a full 18-hole golf course for the first time! Choose from 7 golf courses to play, including the famous Pebble Beach. Choose 6 – 9 or 18 holes. Think you can match the tour players? Test yourself with your driver. Compete with your peers through a social iron-play game. 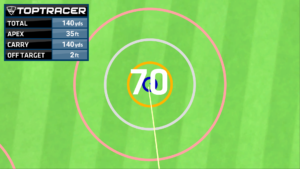 Challenge your peers to a nearest the target points game. Improve wedge and iron play or improve your driving accuracy. Analyse your individual game with statistics from the monitors. Copyright © 2019 Adventure Leisure Limited. All rights reserved.